Finding Katie in Red Bank. Teddy looks concerned. 😛 This is my original ACWW character, Amy, who lived in my very first AC:WW town (which is no more, but I preserved my original character & her catalog by moving her to my dad’s town). He even showed me a letter Jemma sent him! Saharah was in Dafdilly Tuesday, and I remembered to give her my two turbans I received from Wendell. After Twisk finished making deliveries, I woke up Bell to give Saharah my second turban. On Wednesday, when I checked on Amy in Red Bank, I saw that Puddles had moved away (originally from Dafdilly). I didn’t want to lose either Puddles or Kiki forever, so I DS-to-DSed between Dafdilly and my dad’s town, hoping that Kiki would move to Red Bank, and Puddles would move back to Dafdilly. 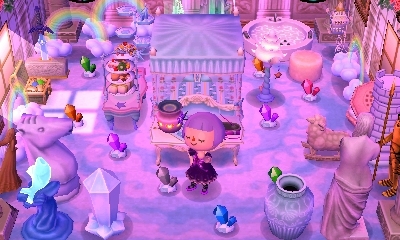 When I got back to my own town, I saw Puddles had moved in! 😀 She’s still calling me by the nickname she gave me my first night in Dafdilly. She moved in right where Kiki just moved out; I hadn’t even gotten around to removing the path yet! Her house style is the same as last time — wish she had the pink house style instead, it would fit her well. Her house is in a different location than the beach house location she had before (obviously, because Curt is living there right now). 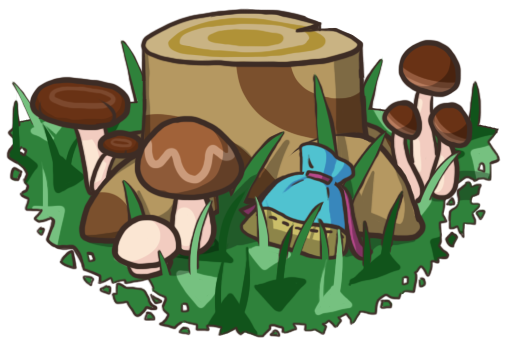 Posted on August 31, 2011 by Amy •	This entry was posted in AC:WW, Dafdilly and tagged Animal Crossing. Bookmark the permalink. Aww okay, talk to you later on. 🙂 Thank you for taking the time to read this post and even comment! And most of all, good luck with your tests! “Good on ya!” (It’s sounds so Australian :P) So Pierce really sings you the other town tunes? 😮 That’s pretty cool xD And it’d be awesome if he moved to Dafdilly! 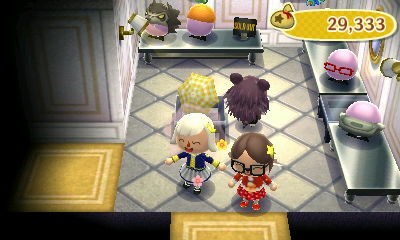 Ooh so the Katie/Kaitlin event works via DS-to-DS? I never knew. But I’m pretty sure only the town who got Katie receives her letter and “presint”. Thanks, I was getting pretty stressed out over not receiving a present on Twisk's end (forgot how it works). 😆 Thought it got lost in the mail or something! That’s a good question; I would think that if we WiFied again, whoever is in my 9th slot then would replace whoever might be in your 9th slot now. I think most of it is up to me, making sure that Pierce is the only one in my 9th slot when we WiFi. The best way to clear my slot that I know of is DS-to-DSing with a brand new town in which no one has moved in or out yet. I could do that with one of my extra used gamecards I don’t use (I’ve actually done this before :lol:). Hopefully that works if I end up doing that, but I’m not sure it will be necessary. Pierce just moved in and I haven’t WiFied or DS-to-DSed since, so my slots should be clear, right? So if I don’t let anyone move until he does, he should be the only one in my slot when we WiFi.